Do I Really Need a Home Yoga Practice? Do I Really Need a Home Yoga Practice? 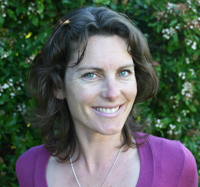 It’s my pleasure to introduce yoga teacher and writer Kara-Leah Grant. She’s the publisher of The Yoga Lunchbox, and the author of Forty Days of Yoga – Breaking down the barriers to a home yoga practice. This is the first article in a series she’s going to be writing about home yoga practice. Mostly, Kara-Leah looks at the psychological barriers that prevent us from getting on the mat every day. Paired with some of the other great resources on this website – like Yoga Pranayama for Beginners, the free yoga videos library and the Free Online Kundalini Yoga Kriyas E-book – you’ll have no excuses for not practicing yoga at home every day – and therefore reaping the benefits that come from daily practice. Oh I get asked this question all the time – in person, via email and on social media. Do I really need a home yoga practice? The answer is… No. Yes. Maybe. It all depends. See, there is no ‘right’ answer. There is only the right answer for the particular circumstances of the person, and every person is different. And that’s the thing with yoga too. All of us are different. We have different lives and different bodies and different minds. We want different things out of our yoga practice and we have different amounts of time and energy to give our yoga practice. These variables mean what each of us needs from our yoga practice is infinitely different, and it differs from day to day, week to week, month to month. In some idealised yoga past – which may or may not exist – yoga was taught one-on-one only when the student had sufficiently impressed the teacher with her dedication and commitment to the practice. Yoga teachings were not flung about willy-nilly to all and sundry. Now it’s possible to be a serious yoga student taking many classes a week and never have a steady, personal relationship with a teacher. Besides which, many yoga teachers are no more experienced than the people they’re teaching. In fact, as my practice enters it’s second decade, I’m finding it a rare teacher who has more experience than me. In essence, I’m going to classes taught by people who know far less than I do about the practice. Which doesn’t mean I can’t learn from them… however, it shows you how practice in the West has shifted and changed. However, there is one way you can connect to a teacher who will always be there for you, no matter. A teacher that always knows exactly what you need, and is available at any time of day or night, and in any location. That teacher is the one that lives inside of you. It is known by many names, none of which I’m going to mention because it doesn’t matter. Call it knowing, it you will. The problem with this teacher, or this knowing, is that he or she is often buried deep, hidden away under years of conditioning. In many of us, the voice of this teacher is so very faint we’ve lost contact. And this is where our home yoga practice comes in. When we practice yoga at home, we’re connecting to our breath, bringing full awareness to our body, and allowing our own internal wisdom to guide us. When we first start, that wisdom is hard to locate or identify. We’re not even sure it’s there. Instead, the sound of the Mind is overwhelmingly loud. Who are you to have a home practice? What comes next – you don’t even know do you? What if you injure yourself? You’re not going to get the same high as you get going to class. Watch these thoughts. And know that they are not true and they are not You. In fact, these thoughts are completely invested in making sure that you don’t practice yoga at home because the Mind knows it will lose it’s position as Master of All if you start a home practice and stick to a home practice. These is where our practice really starts when we start doing yoga at home – it starts with the mind. When we practice in class, we don’t have to worry about the mind so much. We just have to turn up, and turn over responsibility of the practice to the teacher. We can trust the teacher, and just surrender, following along to what the teacher says. It’s such a relief. We feel looked after, guided, taken care of and in good hands. Not so when we start a home yoga practice. All that care and support and trust is ripped away. Now, without that cushioning, there is nothing between us and the Mind. Assuming we even make it on to our mats every day (that’s another entire article or three), we have to face our Minds. Unless we’re already so steady in our home practice, and so sure of what we’re doing that we can just tune into our breath and begin. That may be the case for some of us. However, for most of us, we’re still learning yoga, we still don’t feel confident in the poses, we still don’t know if we’re good enough to practice at home. You are good enough to practice yoga at home by yourself. If you can lie down in savasan and breath with awareness for seven minutes, you’re ready for a home yoga practice. That’s all you need to know. That is enough to get you on the mat, and watching your mind. Now you’re practicing yoga. From that place of breath awareness, all else can arise. And this is when the jewels of home practice begin to show themselves. Once we can firmly establish a steadiness in our breath and awareness, we can bring that full awareness into our body and notice what’s going on. We may stand in Mountain Pose for a minute or two and notice our lower back feels stiff. That noticing of what’s needed then gives our internal teacher an opportunity to direct us. A thought may arise unbidden – ‘Child’s Pose would feel great right now’. From Mountain Pose then, we take ourselves into Child’s Pose – without worrying if that’s right or if that’s what we’re meant to do, but just trusting that that is what we need right now. In Child’s Pose, we continue to breath with awareness, paying particular attention to our lower back, noticing how we can use our breath to bring space into the spine. All the while, our Mind may be trying to get in on the act. This isn’t real yoga, you’re just lazing about in Child’s Pose. Hmmm… I wonder what I should cook for dinner tonight. Com’on this is boring, lets go jump on Facebook. We notice that mind, and we keep bringing our awareness back to our breath and our body. We notice our body. That’s the key in a home yoga practice – getting out of the Mind and into the Body and knowing that the Body know what it needs – and trusting the intuitions that arise. In Child, you may discover you feel like swaying from side to side slightly, shifting your weight from one hip to the other. What is that? You’ve never done that in class! That’s not real yoga! You breath, and you do it anyway, matching breath with movement. Inhaling to centre, exhaling as you sink into each hip. Noticing, as you do so, the relief it brings to your back. This is yoga, right here. Breathing mindfully and listening to what the body needs to release tension. And maybe that’s your practice for the day – Mountain Pose, Child’s Pose, and Savasana. Nothing fancy. Nothing crazy. But something powerful because two important things happened. One, you tuned into your body’s needs all by yourself and freed up your spine, releasing the tension in your lower back. In doing so , you took responsibility for your own body’s health. Two, you spent ten minutes or so paying attention to the different voices in your mind and discerning which were those of the Mind, and which were those of Inner Knowing. You listening to Inner Knowing and ignored the Mind. That switch of attention, those moments of applying discernment… that’s kick-starting a process that will slowly change your experience of reality from being a slave to your Mind to being Master of your Mind. It’s the biggest switch you can ever make. And that is why you need a home yoga practice. Practicing at home will leads to Mastery of Mind. Life changes – because you’ve changed. Remember, yoga classes are fantastic for learning the tools and techniques of yoga – the specifics of postures and the general principles of sequencing. But it’s not until you’re home alone with just you, your body and your Mind that you can begin to develop a strong inner connection to your own Inner Knowing – your own internal Teacher. She’s the publisher of The Yoga Lunchbox and has just published her first book, Forty Days of Yoga – Breaking down the barriers to a home yoga practice. She’s also a regular contributor to Elephant Journal. Great article. Look forward to reading more. Shashi, You are already there. Do your movements and then sit and meditate and take that yearning and drive inward to your goal. No matter what comes up or what you “experience” be steadfast and you will Experience your true Self – pure love. Lovely to read your comment – there are so many blessings in a home yoga practice, as it sounds like you’ve discovered. I agree with Kara-Leah. I’ve always practiced yoga at home. Learned it on my own after researching a bit and watching few videos. At first followed White Lotus “Total Yoga”, now periodically make my own program, often with my own dreamed up poses, with whatever feels good. I listen to my body for the intensity, length and direction of movements and create new (at least, new to me) poses. When I practice it’s quiet inside and out. I am not worried about what I am wearing, how I look or distracted by music or instructions or explanations. When my body resists, I laugh and concede. I love it. I have better relationship with my body and mind now, and recognize any changes quickly. I’ve become my own best friend, laughing and joking with her. I too, believe that all answers are within, if only we look deep enough and hard enough and surrender ourselves. I look and feel better than when I was younger. Also, may be because I made (had to) choices (some call them sacrifices) in life that would take to me to a place I’ve been desperately searching all my life – myself, my true self, my inner self, that pure, selfless force called God. Not there quite yet, just glimpses, but hopefully some day!